This lovely, lyrical documentary introduces Chinlone, a Burmese sport that soars somewhere between acrobatics, hackey sack, and Balinese dance. 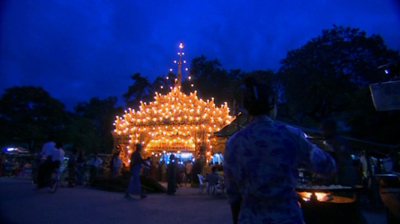 This game, unknown outside of Burma, became an obsession for Greg Hamilton. 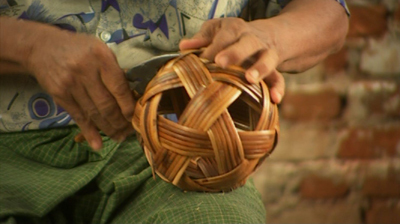 For the past 20 years he’s painfully tried to whisk the distinctive woven-rattan ball, faithfully returning to Burma to play in tournaments, becoming the first westerner to do so. What makes this film so rewarding is Hamilton’s candid autobiographical account of his slow learning. At first he is laughed at, but after 8 years of filming, he slowly gains respect from the Burmese. Chinlone is a beautiful non-competitive game. 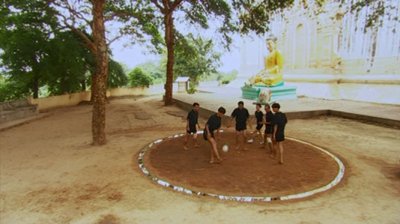 You “win” by keeping the ball in the air for your teammates — a fit metaphor for life, and a perfect frame for this extremely contemplative but dynamic film. 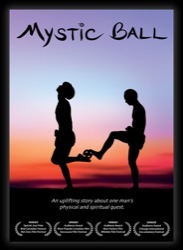 Greg’s story is really not about sport, or the Zen of Burmese Hackey Sack, but about how to learn and love.